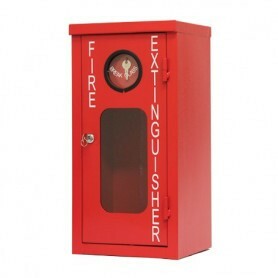 Extinguisher Cabinets There are 15 products. 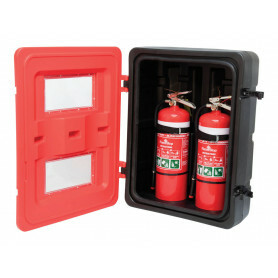 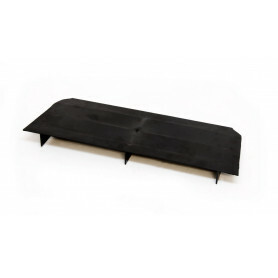 The cabinets are available to fit 2.5kg, 4.5kg and 9.0kg extinguishers. 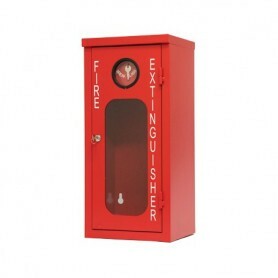 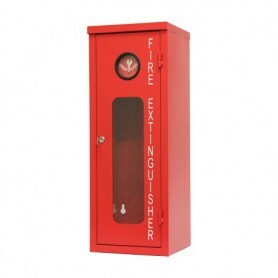 FlameStop’s high quality heavy duty plastic fire extinguisher cabinets are designed to protect fire extinguishers from the environment and reduces the opportunity for intentional misuse and theft. 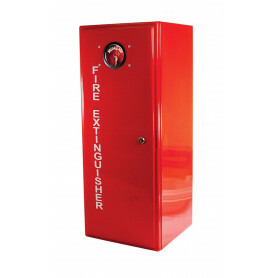 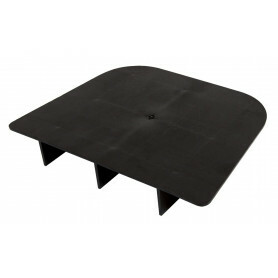 They are made from high quality UV treated plastic and available to fit 4.5kg and 9.0kg extinguishers. 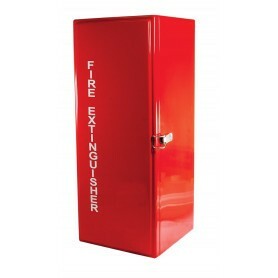 FlameStop’s high quality plastic fire extinguisher cabinets are designed to protect fire extinguishers from the environment. 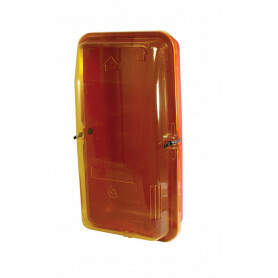 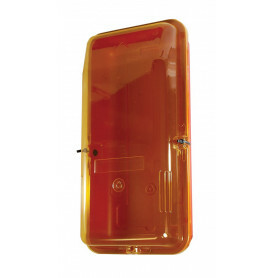 They have a yellow transparent access cover and are available to fit 4.5kg and 9.0kg extinguishers. 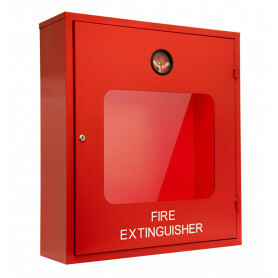 Break glass window with 003 key and lock to allow access for servicing and access for the fire brigade. 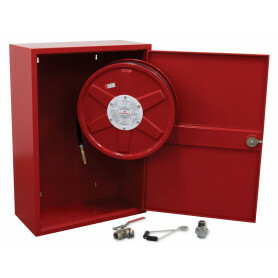 Stainless steel latch for secure fastening.